We’ve got a few more things from the set of director Todd Phillips’ Joker to share with you today! This has been an interesting film project to follow and it seems like the movie fans see of the it, the more excited that they get. Today we’ve got a video to share with you featuring Joaquin Phoenix as Arthur Fleck running after Thomas Wayne to get his attention before tripping and falling. The video also shows him following Zazie Beetz’s character, Sophie Dumond, a hardened single mother who has been beaten down by her time living in Gotham City. I also included a photo of Brett Cullen as Thomas Wayne in the film. We also have a few other photos that show the Joker in full makeup sitting in the back of a Gotham City Police cop car. You can check all of those out below. The film will tell the explorative story “of a man disregarded by society [that] is not only a gritty character study but also a broader cautionary tale." Joker is "meant to be different from other comic book superhero movies". 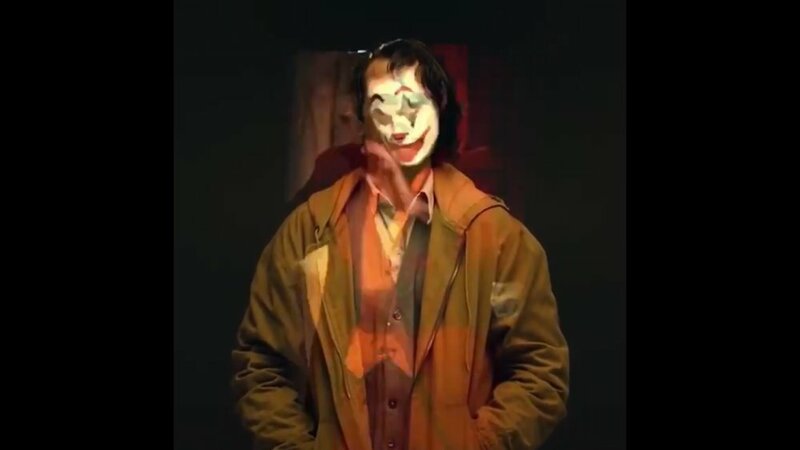 The story is also said to "delve into what it took for the Joker to become a mastermind criminal" and rumor has it that the film’s story will revolve around a Arthur Fleck, a failed comedian whose failures lead him into a life of crime. The film also stars Robert De Niro, Frances Conroy, and Marc Maron. De Niro will play a reporter and Conroy will play Joker's mother, Penny. Joker will be released on October 4th, 2019.